This is a sponsored post written by me on behalf of Carando®. All opinions, recipes, and ideas are entirely my own. Looking for a mouth-watering appetizer for the holidays? Knock their socks off this year with a melty recipe for meatballs, slow simmered in homemade marinara sauce. Made with tender Italian meatballs, smothered in tangy vegetable marinara sauce, and topped with whole milk mozzarella, this is truly a party favorite. 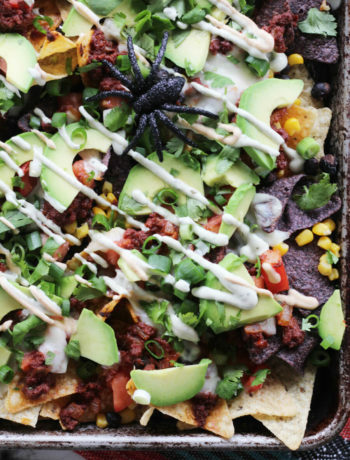 Bonus: This recipe also doubles as an evening meal for nights at home with the family. Wow. That was the first word out of my sauce-covered mouth after my first bite of Marinara Meatball Skillet. Think about it…perfectly spiced meat, hearty marinara sauce, and gooey cheese. 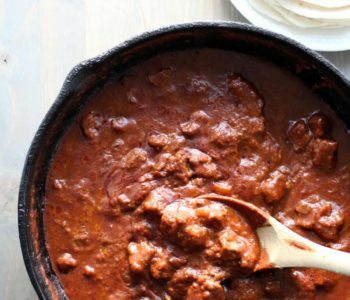 Hard to go wrong when you serve this recipe. What I love about it the most? It can go from Christmas party to the dinner table. 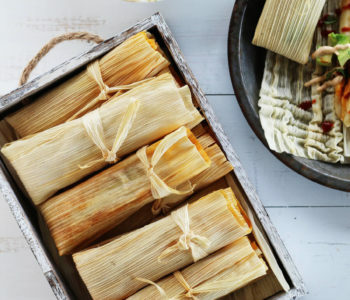 Keep this recipe in your tasty file this season. My daughter absolutely loved it! 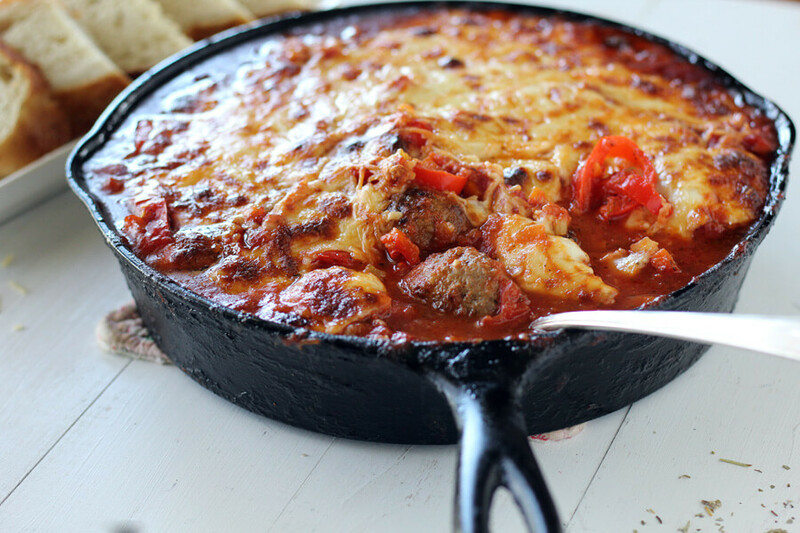 The inspiration behind this Marinara Meatball Skillet is Carando®’s Abruzzese Fresh Italian Style Meatballs. You can find them in the refrigerated meat section at your local Food Lion, along with everything else you need. 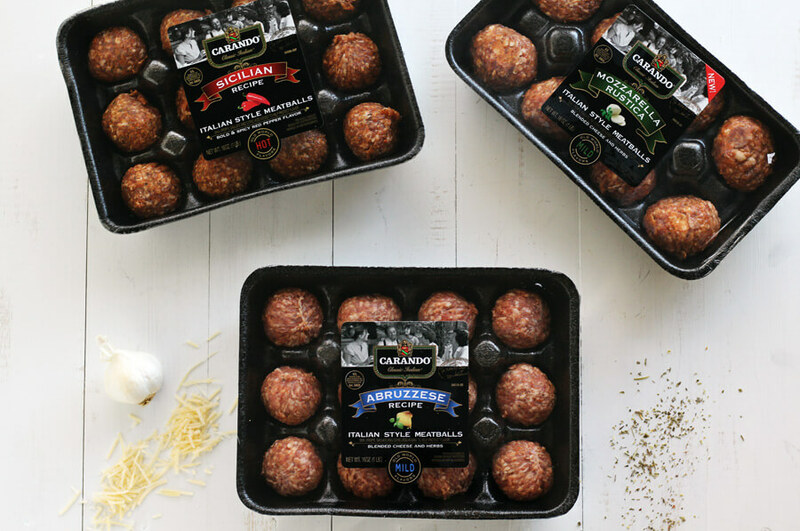 It was hard to decide which variety of Carando meatballs to pick, so we grabbed them all (some for now, and some for later). I love the convenience of having meatballs ready to go for busy nights. Many of my family’s favorite recipes are a combination of ready-made and homemade ingredients. For this particular recipe, we used Carando Abruzzese Fresh Italian Style Meatballs and Carando Sicilian Meatballs. You can also try Mozzarella Rustica. I’ve tried them all and they are delish! 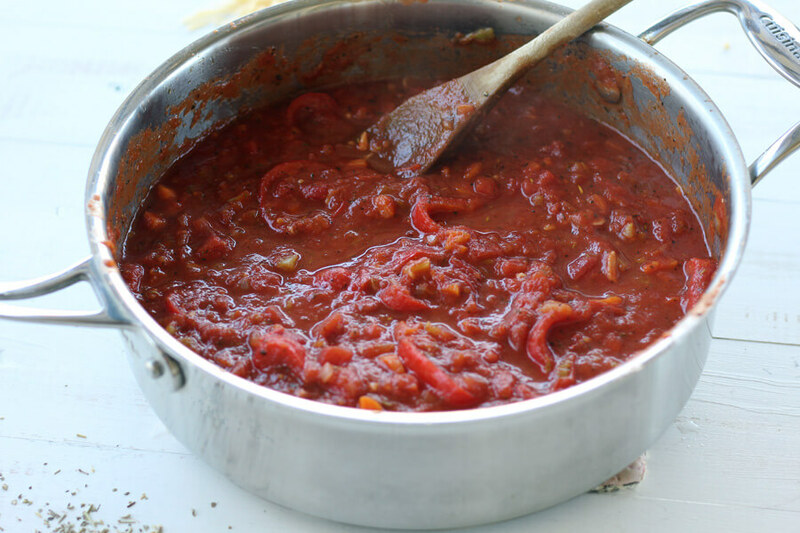 While you can certainly use a jarred marinara to sauce things up, we decided to make our delicious (and easy) homemade marinara. The homemade taste of Carando meatballs deserves this heavenly marinara sauce. 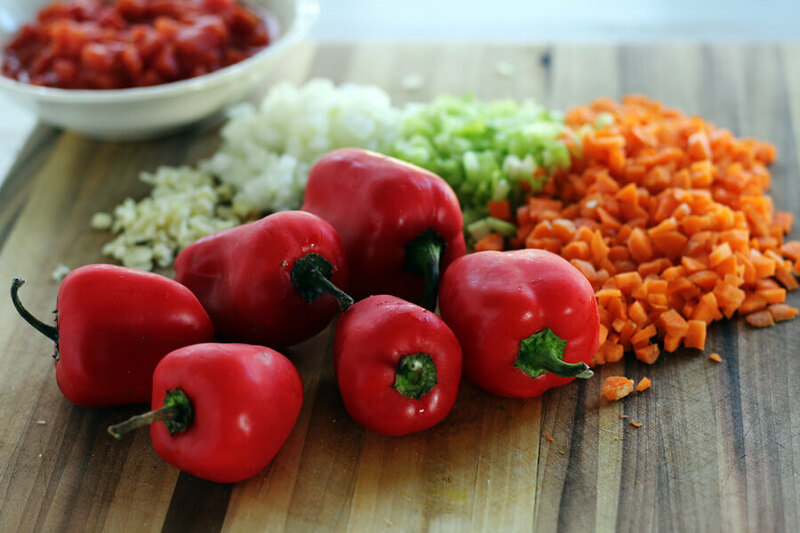 To add depth of flavor to this rustic style marinara sauce, we use fresh chopped onions, garlic, celery, and carrots. Cook the colorful veggies in extra virgin olive oil until they are golden and tender. This is the flavor base, so don’t skip this step. Now, let’s put everything together. 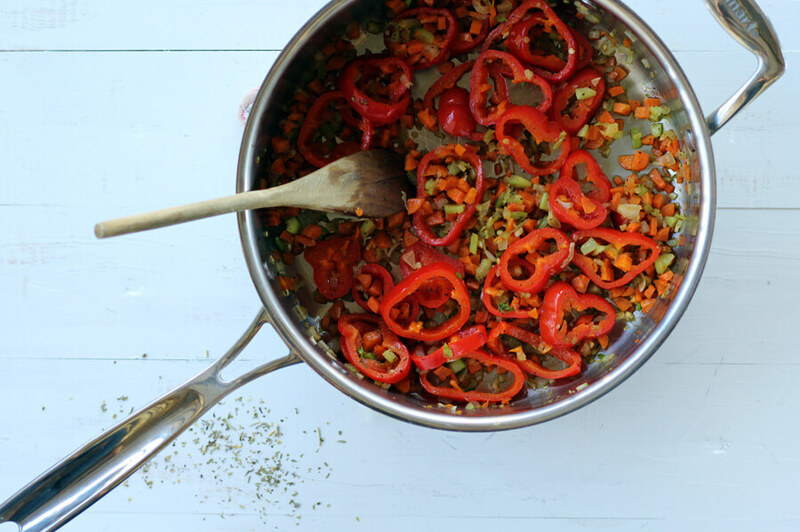 In a sauce pan, cook the chopped vegetables until tender with a pinch of salt + pepper. Stir in the tomatoes and herbs. Bring to a low boil, stirring frequently. Reduce heat and simmer for about 30 minutes. 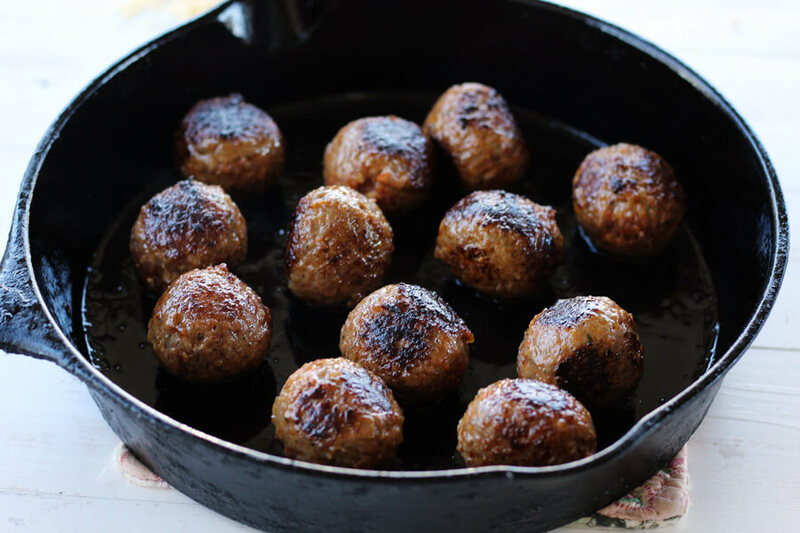 In a large oven-proof skillet, cook the meatballs in a bit of olive oil until browned on all sides. When the meat is brown, pour the marinara sauce over the top. 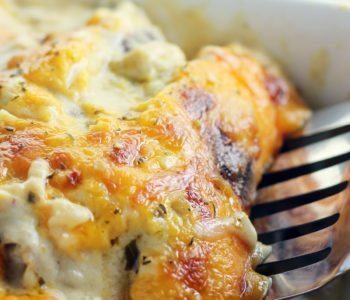 Top with cheese and bake uncovered for 30 minutes until the mozzarella is bubbly and golden. Serve hot with Parmesan cheese and crusty bread. If you prefer your marinara sauce smooth, you can whizz it with a handheld blender before pouring over the meatballs. I like mine chunky for a more rustic presentation, but it’s tasty either way. The meatballs are tender, savory, and the texture perfect for this appetizer recipe. Remember, you can pick up Carando meatballs and everything needed for your holiday meals at Food Lion. 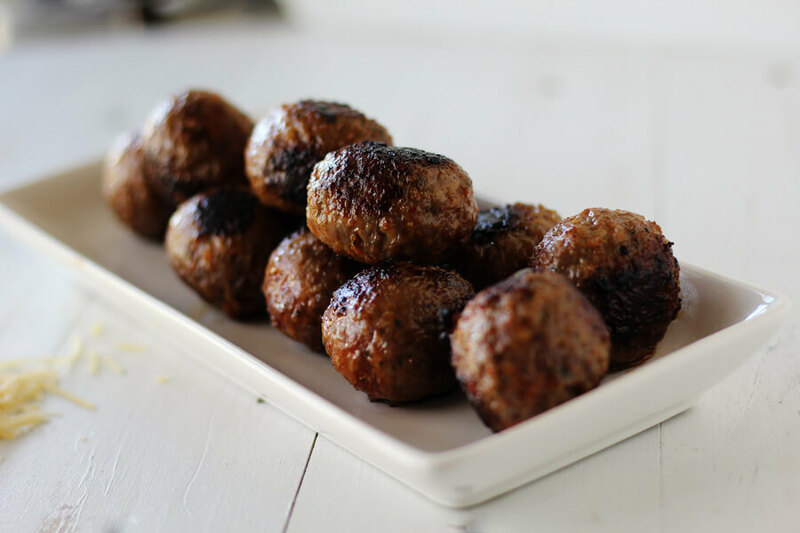 The meatballs are amazing and are great for all of your recipes. 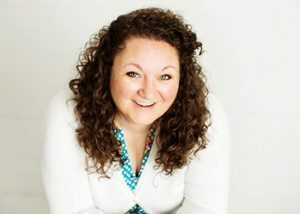 Think slow cooker appetizers and soups, traditional pasta dishes, saucy sandwiches and so much more. Purchase Carando Meatballs at Food Lion from 12/5 through 12/12/2018 and receive savings on the meatballs when you use the Entry Point Kiosk (offer varies based on MVP status).. This recipe makes 24 servings. 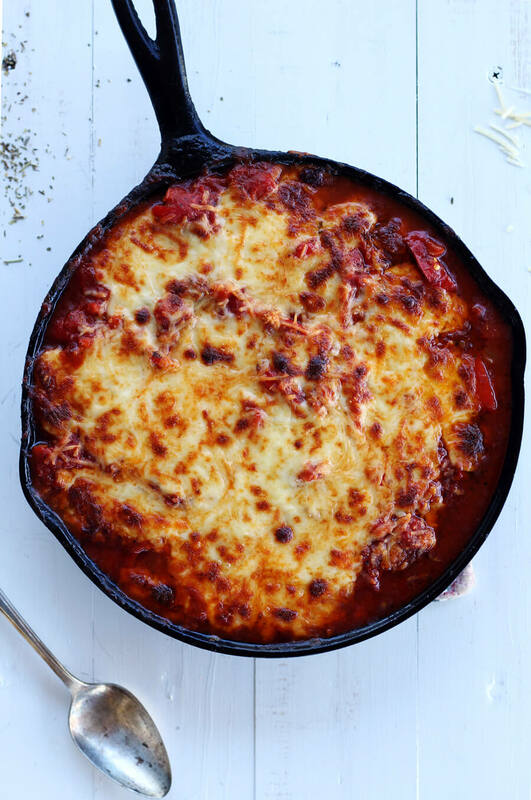 Who doesn’t love a cheesy + saucy (and crave-worthy) recipe? The golden, gooey mozzarella melted over homemade vegetable marinara sauce and savory Italian meatballs is mouth-watering! 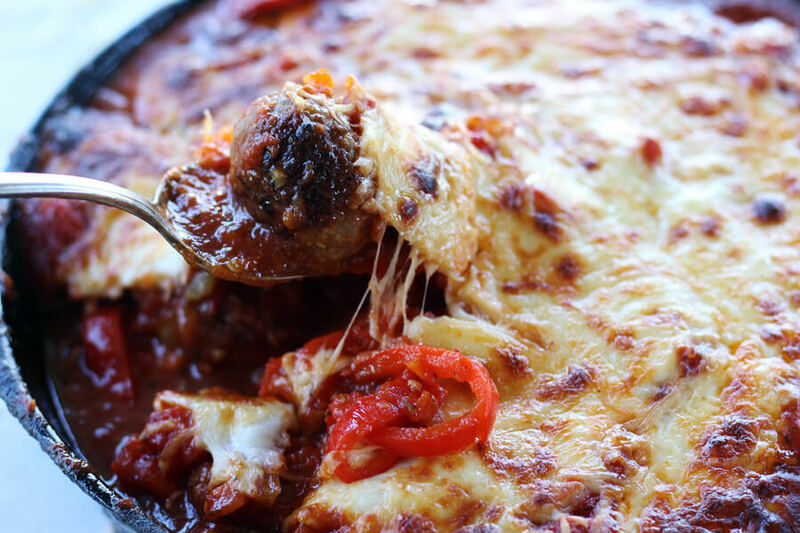 Marinara Meatball Skillet easily transitions from appetizer to main course. 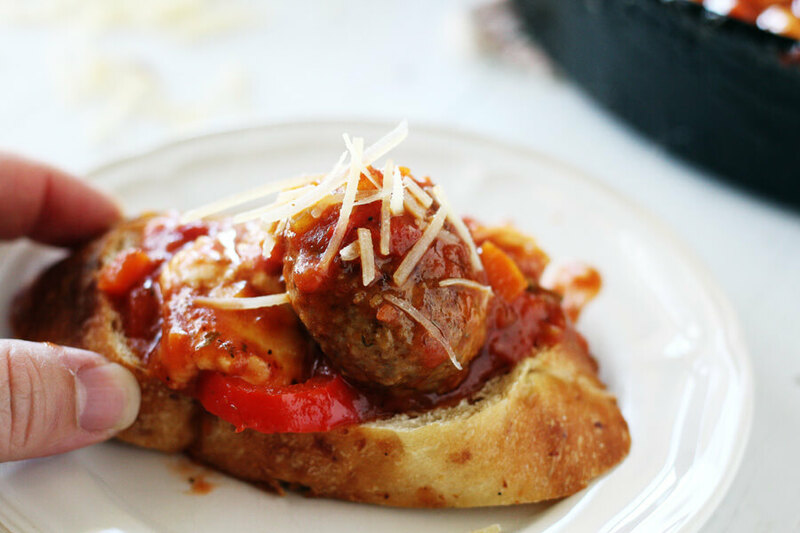 Serve with gourmet bakery buns to create saucy meatball sliders. 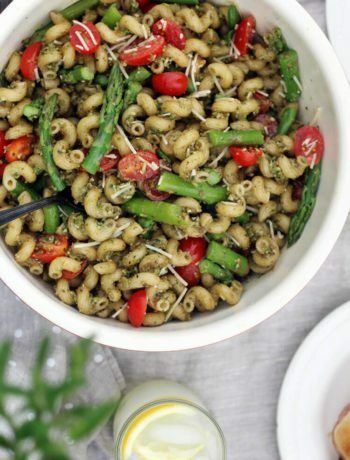 Or go all out and serve with hot, buttered pasta and a green salad. You can even make this recipe for marinara meatballs ahead of time. Just prepare everything in a dish, cover, and bake before serving. Carando’s authentic Italian meatballs date back to the streets of Torino, Italy. Peter Carando, the founder of the company, learned the skill of sausage-making as an apprentice at a local butcher shop. He carried those recipes and passion for true Italian flavor with him to America. A savory and cheesy recipe with tender Italian style meatballs slow simmered in homemade vegetable marinara sauce. 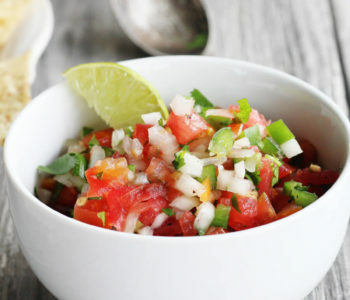 Great as an appetizer for parties or as a main course for family meals. In a medium sauce pan, heat 2 tablespoons of the olive oil over medium low heat. Stir in the peppers, carrot, celery, onion, and garlic. Add a pinch of salt and a pinch of black pepper. Cook and stir until the vegetables are tender, about 15 minutes. Add the crushed tomatoes, diced tomatoes, Italian seasoning, butter, crushed pepper flakes, salt, and pepper. Bring the sauce to a low boil, stirring frequently. Reduce heat to low and simmer uncovered for 30 minutes, stirring occasionally. Add the remaining oil to a large oven proof skillet. Brown the meatballs in batches in the oil over medium heat, rotating to brown all sides. Turn stove top off. When all the meatballs are browned, arrange them all in the bottom of the skillet. Pour the prepared marinara sauce over the top. 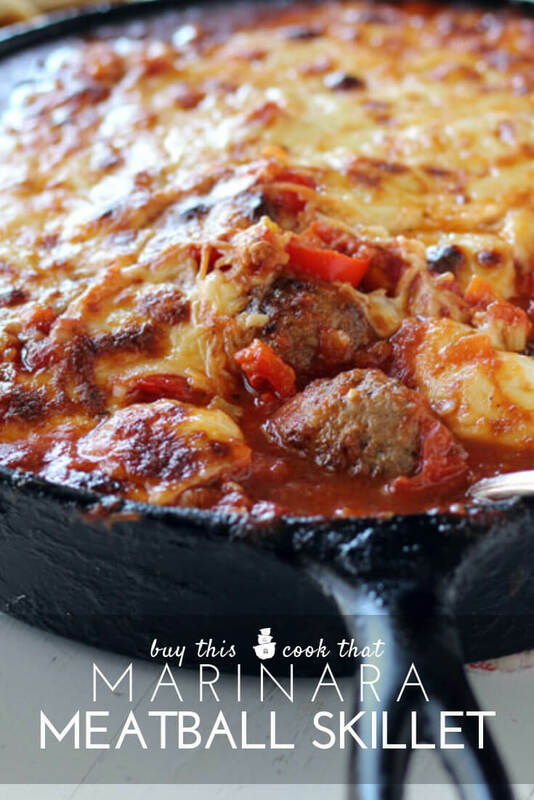 Tear the mozzarella into chunks and arrange on top of the sauce-covered meatballs. 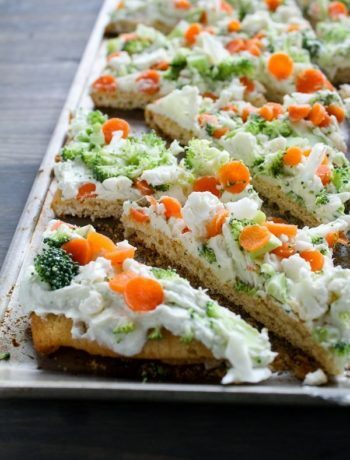 Sprinkle with Parmesan or Asiago cheese. Bake uncovered for 30 minutes until the cheese is melted and golden. Serve hot with additional Parmesan cheese and crusty bread. Nutritional information does not include bread. Wow! This sounds delicious! 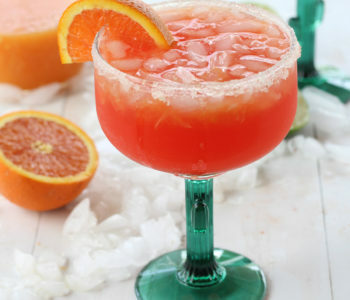 And this is a new recipe for me. Can’t wait to try this recipe. Thanks! Awesome, can’t wait to hear how it turns out for you. Are you eating it as a dinner or serving as an appetizer?